oil. The BlenderBottle® is also made from recyclable materials. • Lid and Flip Cap: High Density Polyethylene (HDPE) (#2) (Also used for milk and juice containers, cereal box liners, etc.) Recyclable. • Cup: Polypropylene (PP) (#5) (Also used for yogurt, margarine, ketchup, and syrup containers, etc.) Recyclable. The BlenderBall® is made of electropolished 316 (surgical grade) stainless steel. It is made of the same material and goes through the same manufacturing process as surgical instruments. It won’t rust, chip or peel. Which plastic water bottles don’t leach chemicals? 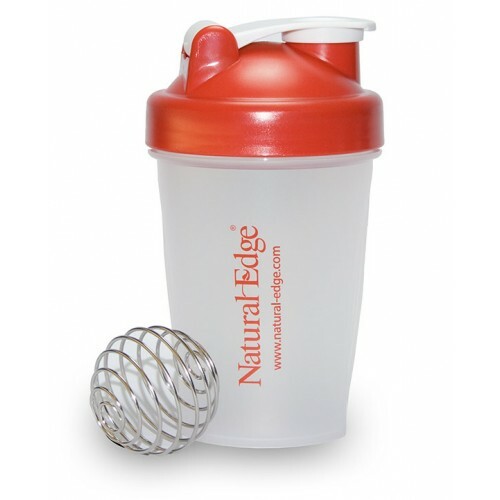 The BlenderBottle® is compliant with both FDA and European standards. It has been independently tested and shown to be free from lead and other harmful substances.